Can't find your location? Contact the head office for help. Mad Science of Austin and San Antonio can help your fourth and fifth graders (and your teachers) tackle the STAAR Science Test with the Mad Science STAAR Power Pack,a group of exciting workshops that promote scientific investigation and reasoning skills tailored to the four STAAR reporting categories. I get the idea, but how does the STAAR Power Pack work? The STAAR Power Pack is a series of one-hour workshops specifically aligned to the STAAR reporting categories. Mad Science uses multiple interactive experiments and activities, challenging your students to understand the concepts they need. 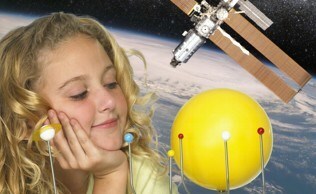 The STAAR Power Pack is designed to supplement your school’s current science curriculum. Does the STAAR Power Pack replace classroom instruction? No! We can help your teachers by bringing fun science to the students, but nothing can substitute for ongoing learning in a classroom. The STAAR Power Pack is designed to supplement classroom instruction by emphasizing the specific skills and concepts outlined by the TEA. 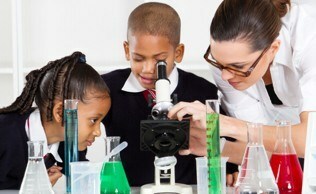 We provide a Pre and Post package to extend the educational value before and after the workshops. Why should we use the STAAR Power Pack in our school? Anyone who has spent more than five minutes with elementary students knows their attention spans. Programs that use different methods of teaching get through to students; we use visual, tactile, and auditory teaching methods in our workshops. With the STAAR Power Pack, students experience the STAAR categories, not just hear about them. What if we can’t spare the time? We will work with your needs! Ideally, the sessions should be conducted during class time so that all students have the opportunity to be involved. However, we can conduct after school sessions, schedule individual category workshops, or customize other programs. Just ask! Still need more information? Want to book a Power Pack?